Alpha Renovations is an Australian owned and operated family business which takes pride in providing it’s customers with quality work at an honest price. Our team from start to finish strive to make your home renovation project a smooth and stress free process. Alpha Renovations is always up to date with the latest products and designs in today’s fast growing construction industry. We strongly believe that to provide our customers with a practical, long lasting and beautiful living space we need to ensure that our products suit yours needs perfectly. 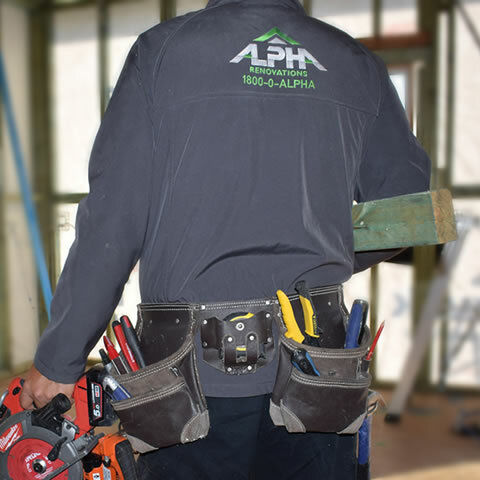 Alpha Renovations only uses quality materials from trusted well known suppliers and have the latest technology tooling to guarantee top quality work each and every time.